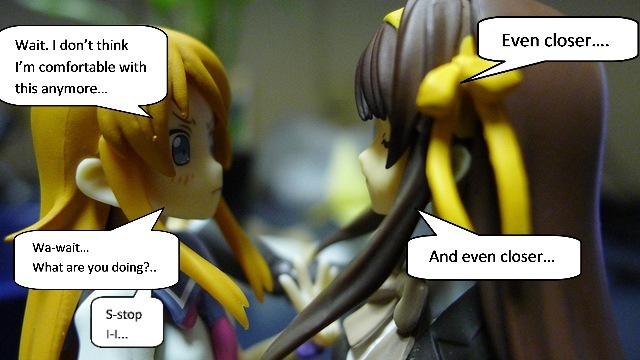 Today we're looking at Kirino and Haruhi. Is the title misleading? I almost feel like Sankaku Complex for naming it with such a tricky tittle. But I digress. 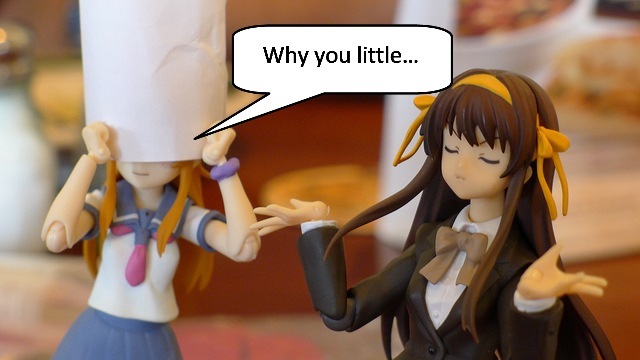 My last post was supposed to be about Haruhi but it ended up being more about Yotsuba. 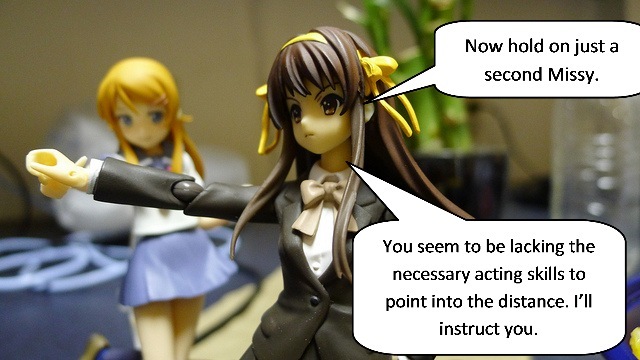 So this time I wanted to focus a little more on the movie version Haruhi Figma I got. Anyway Enough talk. 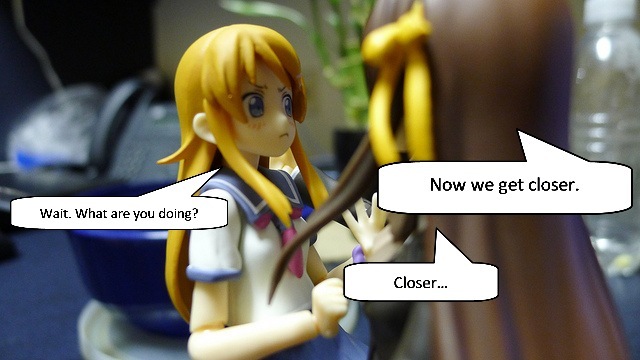 Kirino getting caught up in Haruhi's flow. 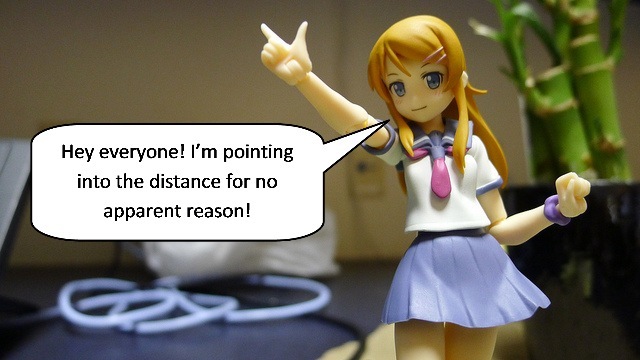 Kirino a little unsure of herself. 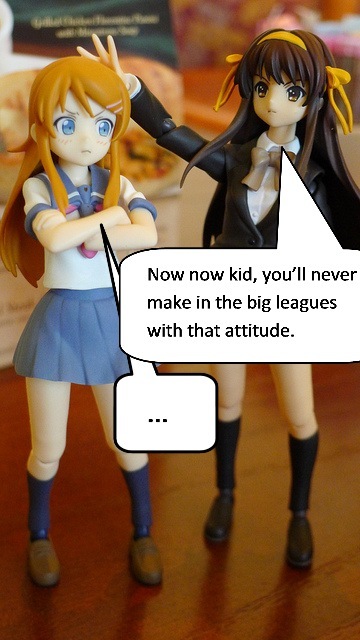 Kirino, you're saying no but you're not being very assertive here. 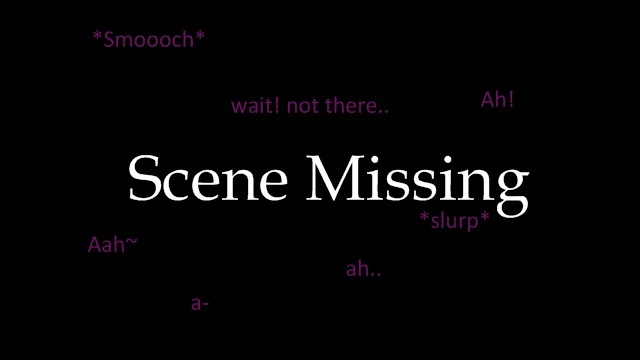 Darn, now we'll never know what happened! 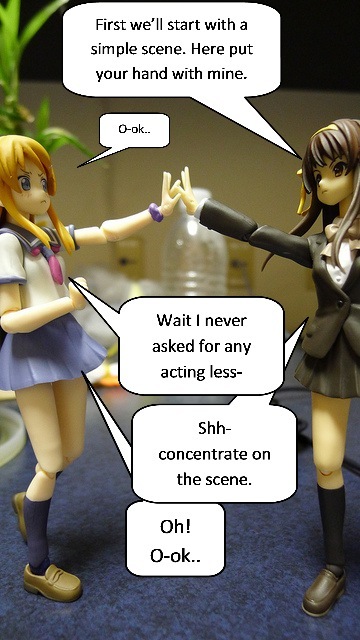 Haruhi is acting like some big shot producer. 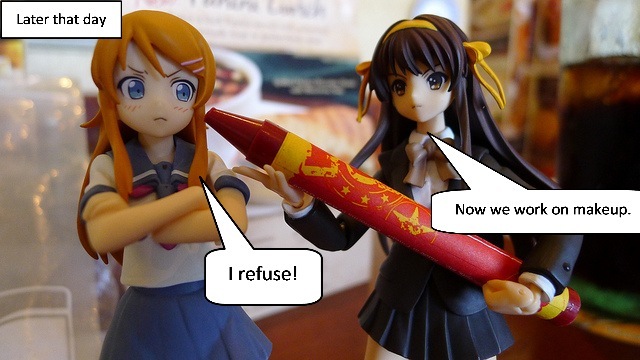 Haruhi's all like, "Deal with it, kid". What's with her and the word kid anyway? 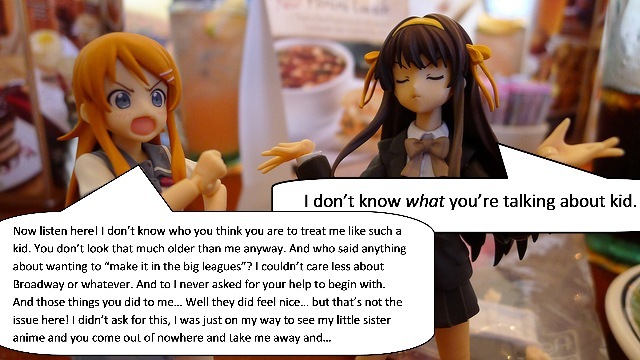 Also, feel free to just skim through Kirino's rant. Ouch! 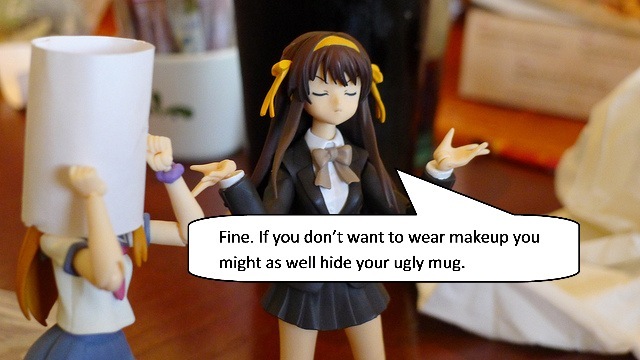 That's harsh even for Haruhi. Such a cliched line. But I like it. And that's that. Hope you liked it. 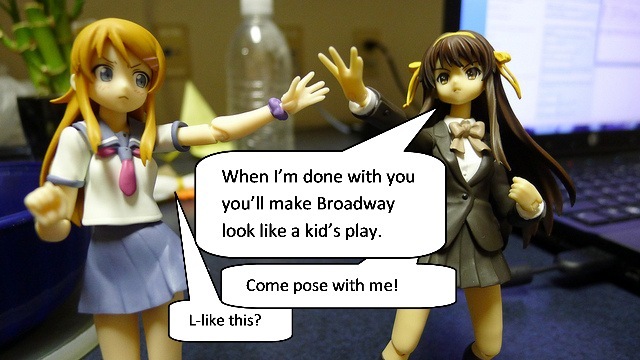 If you're wondering about the backgrounds, it was a run of the mill day where me and Miette took Figmas around and took pictures. Miette did most of the shooting, since he has the ridiculousness that is the magic camera. The idiotic story is by me. See you next time!